Aspire to rebel or act innocent with the Givenchy Ange ou Démon Eau de Parfum Spray, a floriental scent for women with noble lily facets. 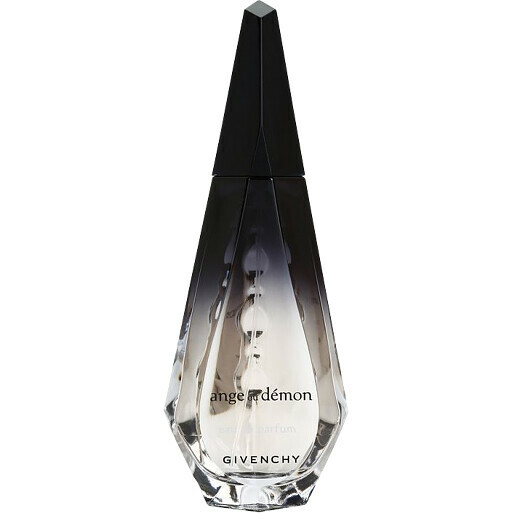 Born under the sign of light and mystery, the Givenchy Ange ou Démon woman is bewitching and breathtaking. Her majestic beauty is haunting, whilst her innocent aura continues to inspire from sunrise until sunset. The perfect match for her eye for elegance and feel for mischief is this daring Eau de Parfum, which enwraps her senses in bittersweet sin. Shimmering splashes of mandarin succumb to the dark and spicy nuances of saffron, revealing a mysterious and inviting opening to this sophisticate scent. As the light from the saffron gilds heavenly nuances of lily and ylang-ylang in a white floral core, whilst its not so innocent base of addictive tonka bean and oakwood cast a wicked spell on the composition. GIVENCHY Ange ou Démon Eau de Parfum Spray is rated 4.0 out of 5 by 5. Rated 5 out of 5 by IrishBrian from Excellent Service Ordered this product for my wife (anniversary present). It arrived very quickly and gift wrapped perfectly. Very good product, very good price, excellent service! Well done Escentual. Rated 1 out of 5 by Audreythatperfume from Smells inexpensive and synthetic I like the concept of this - a dichotomy of floral and vanilla - however in practice it smells very cheap and synthetic. The vanilla is the same quality as vanilla lip balm and the whole thing smells stale pretty quickly. The plastic bottle has a similar under-funded feel to it. It goes on pretty big but dies down fairly quickly. Rated 5 out of 5 by Rainbow from Soft Spice Ange ou Démon Eau de Parfum starts out a little strange ( Maybe the Demon ). But after about half an hour becomes a beautiful soft sweet gently spiced fragrance ( Definitely the Angel ). Rated 4 out of 5 by Inventress from Givenchy Ange ou Demon Eau de Parfum The first fragrance I bought myself. I was deciding between it and Thierry Mugler Alien EdP. This won over because of its softer nature and the lack of an odd note (smelled like rubber or tar) present in Not for the faint of heart. Givenchy Ange ou Demon EdP is a statement fragrance, applied with a light hand to avoid suffocation. At first spray, it is a dense, aromatic veil: saffron, which is prominent, mixes with other notes to create a spicy, warm blanket. It is heavy. Saffron lasts into the middle notes and mixes with lily, vanilla, and Tonka bean for a sweet floral effect. It is not candy sweet, nor is it just a hint. Ange ou Demon is sweet, but without gourmand associations. The drydown is vanillic, woody, and balsamic and lasts for over 12 hours. The sillage hangs around the wearer for about a metre. Ange ou Demon EdP is powerful stuff with quality ingredients and it shows. I wish these ingredients were blended to a slightly lighter fragrance, however, because it is too dense it its current state (or perhaps it went through reformulation by now). Definitely an "oomph" fragrance for nighttime events and/or colder weather. And definitely more of a demon.